The Nicaraguan scenery of the Pacific is marked by an impressive chain of 25 volcanoes that go across this region of the country. Some of these volcanoes are still active and their spectacular eruptions scare the people that live there. Most of these volcanoes have an easy access and if you decide to climb up, your efforts will be rewarded by the unforgettable and breathtaking view at the top. 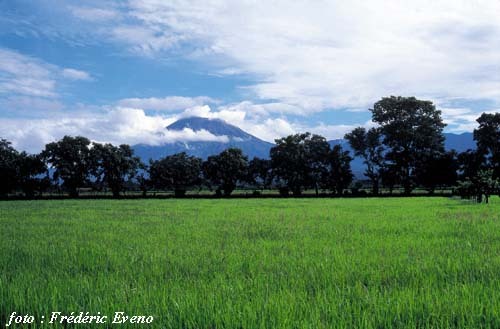 Close to Managua, only 5 km away, this volcano is still very active. 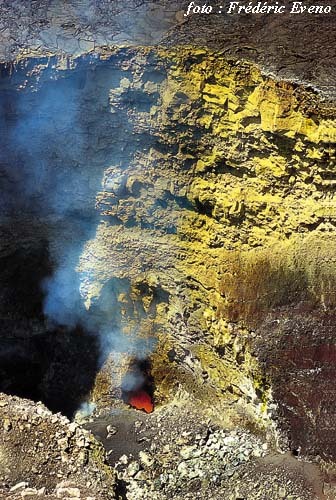 It's located inside the National Park of the Masaya Volcano. It has 3, particularly impressive, craters. 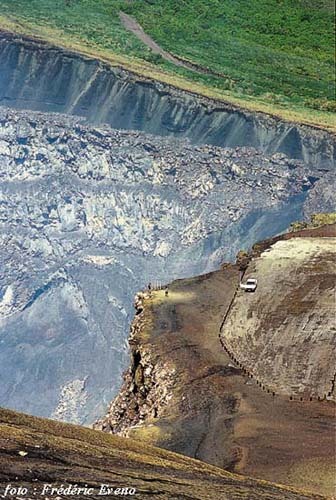 You can reach one side of the Santiago crater where you can observe the lava 1300 feet. down below. If you want to descend to the crater you have to use alpinist's equipment, however this has to be approved by the National Park authorities. There is an interesting museum located at the bottom of the volcano. Access: The entrance to the Park is located at the km 20 of the Managua-Masaya Highway. If you go to the volcano, you shouldn't miss the opportunity to visit Masaya too, whose market is like the cave of Ali Baba of craftsmanship. . This volcano is like a Nicaraguan symbol. It was frequently used in Ruben Dario's poems, a great national poet. 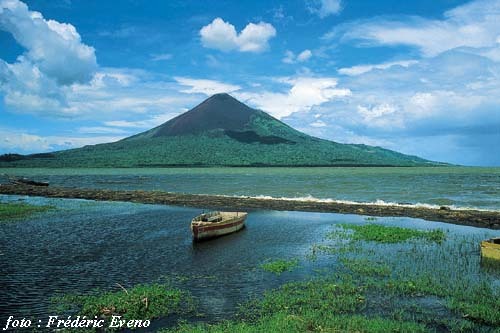 If you want to remember a Nicaraguan scenery, the first thing that comes to mind is the Momotombo, with his younger brother the little Momotombo, both volcanoes bathing the Lake of Nicaragua. This volcano is still active and its activity generates energy through the Geothermal Station that is installed at its feet. The access to the crater takes about three hours of climbing and it's pretty easy. This is the tallest volcano of the country. It has a perfect conic shape and it's permanently blowing smoke. 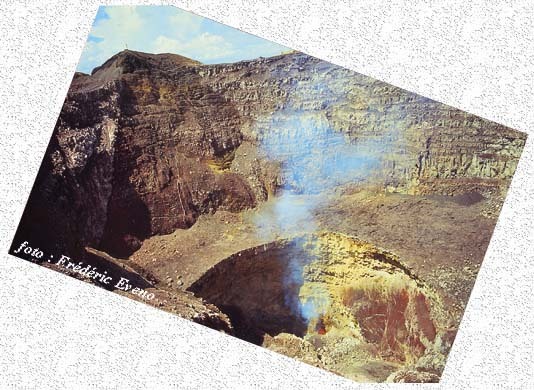 Its crater is very big and it takes about three hours to climb to the top.